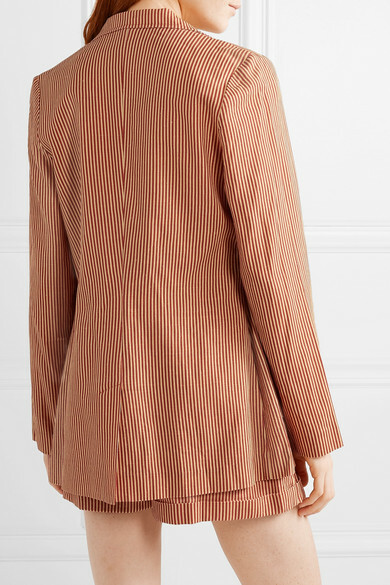 Miguelina's 'Bleecker' blazer is woven with plenty of airy linen, so it's perfect for outdoor parties or waterfront dinners on balmy summer nights. 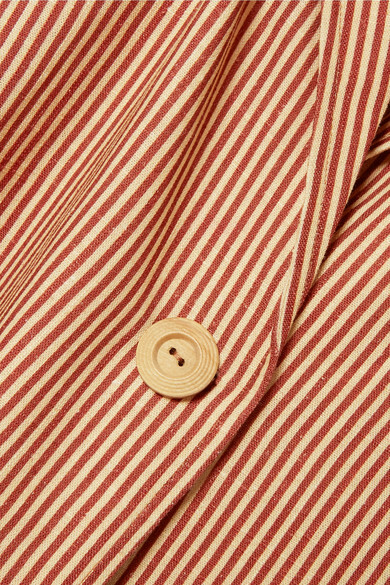 Printed with contrasting brick and ecru stripes, it has classic details like notched lapels and front patch pockets. Complete a set with the coordinating top and shorts. Wear it with: Muuñ Tote, TKEES Sandals, Tohum Necklace, WALD Berlin Necklace, Sophie Buhai Earrings.